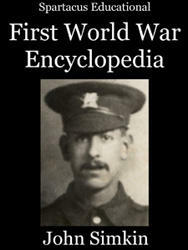 Arnold Zweig was born in Glogua, Germany, on 10th November 1887. On the outbreak of the First World War Zweig joined the German Army and served at Verdun and at the German Army Headquarters on the Eastern Front. Influenced by Under Fire by Henri Barbusse, Zweig wrote the novel, The Case of Sergeant Grisha (1928). 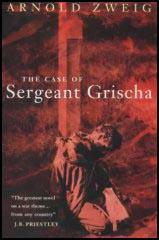 Based on an actual case, the story concerns a Russian sergeant who is caught, tried and executed as a German deserter. An opponent of Adolf Hitler and the Nazi Party, Zweig was co-editor of the anti-fascist magazine, World Stage . Exiled by the Nazis in 1934, he continued to publish novels including Education Before Verdun (1935), The Crowning of a King (1937) and The Axe of Wandsbek (1947). Zweig returned to Germany after the Second World War and served as president of the German Academy of the Arts (1950-53) and won the Lenin Peace Prize in 1959. 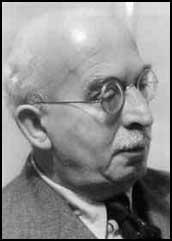 Arnold Zweig died in East Berlin on 26th November 1968. Arsenal have a big problem. Spending £14,000 on Bryn Jones has not brought the needed thrust into the attack. The little Welsh inside-left is clearly suffering from too much publicity, and is obviously worried. He is a nippy and quite useful inside-left, but his limitations are marked.